Fourth Row Center: Film Writings by Jason Bailey: Interview: Kevin Murphy of "Mystery Science Theater 3000" and "Rifftrax"
Interview: Kevin Murphy of "Mystery Science Theater 3000" and "Rifftrax"
Here’s the thing: Tom Servo was always my favorite. On the TV show Mystery Science Theater 3000, the little gumball machine robot with the deep voice always seemed to get the best lines, and land them with unassailable comic timing. That deep voice belongs to Kevin Murphy, who took over the role in the show’s second season on cable and filled it for the rest of its run, from Comedy Central to the Sci-Fi Channel. When the show ended its run in 1999, Murphy wrote a terrific book, My Year at the Movies, in which he saw a different movie every day for a year (over four continents). The book is a nice reminder that Murphy, above all else, loves movies—even though he’s a guy who makes his living making fun of them. He reunited with Mike Nelson and Bill Corbett, MST’s Sci-Fi era cast, first for the short-lived (but uproarious) direct-to-DVD series “The Film Crew.” The trio then began recording commentaries for Nelson’s Rifftrax website, in which viewers can download MST-style “riffs” on current movies to their mp3 players and sync them up to watch live. Now, Rifftrax is doing its first batch of DVD releases. Eight of them are well-known older films, including such notoriously low-budget clunkers as Reefer Madness and Plan 9 From Outer Space and cult hits like Night of the Living Dead and Carnival of Souls. They’re also releasing two collections of their expert riffs on vintage educational shorts. 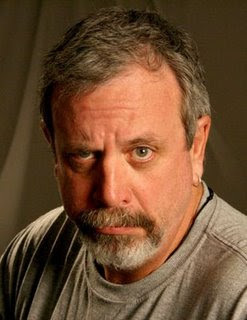 Recently, I had the chance to talk to Kevin Murphy about the new discs, Rifftrax, and the legacy of Mystery Science Theater 3000. And, as a bonus, I actually made him laugh twice, which, for me, was sort of like getting to play a good riff for Jimmy Page. JB: Well first of all Kevin, it’s a real thrill to talk to you. I’m a MiSTie from way back, and I loved your book and the stuff you’re doing with Rifftrax. So thanks for taking the time to talk. KM: Oh, my pleasure. Thank you. JB: We should probably start with the new Rifftrax DVDs. Up until now, Rifftrax has only existed in mp3 and Video On Demand format. What prompted you guys to take the leap into physical media? KM: It really was the movies, I think. Mike had done really sort of solo actual commentaries on several of these films that are in this flight when he first started with Legend Films, and we thought it was time to give them the proper Rifftrax treatment. And since Legend Films already had them in their library, and there are a lot of people who, believe it or not, are not inclined to do the little bitty technological leap there is to do a Rifftrax. And so we’re reaching, I think, a lot of Mystery Science Theater fans that said, “why don’t you guys do DVDs? It would be wonderful. If you had a DVD, I’d buy it.” Well, here’s an opportunity. And at the same time, we got some great old groaners and some old chestnuts and some films that some people consider sacred cows in the collection. So it is fun to do those, and dive back into the sort of stuff that we’d been doing. It was like going back to high school for a little while. JB: Yeah, a lot of these are really good “gateway” Rifftrax titles for people who know you guys from “MST” because so many of them are the kind of older, low-budget movies that are so easily identifiable with the show—things like ”Reefer Madness” and “House on Haunted Hill”. Do you find it easier to riff on those movies than on some of the newer titles that Rifftrax usually does, just because they’re so in your comfort zone? KM: Oh yeah, It is so easy to take old, bad films and make fun of them, for us. It’s like shooting fish in a barrel. It’s a lot of fun. And I think it sort of attracts us for that reason, because it’s just—there’s a lot of glee and joy that goes into those, you know. With the current films—which believe me, I love doing. I always go back to Wicker Man, which is one of our favorites, but looking at Nicolas Cage’s gob for two hours tends to be a little oppressive after a while. And the older films are shorter too, and that’s another thing that some people are happy for. JB: Well, speaking of shooting fish in barrel… Probably the best-known title of this batch, among bad-movie fans anyway, is “Plan 9 From Outer Space”. Now for a long time, that was one that you guys wouldn’t do on “MST.” Why was that, and what caused you to change your mind here? JB: Far worse films than “Plan 9”! KM: Exactly. Manos, The Hands of Fate now gives Plan 9 a run for the money when it comes to the worst film of all time. It’s hard to say. I think Manos is a far worse film than Plan 9. Plan 9, it’s a least fun to look at. You can’t even say that about Manos, The Hands of Fate. JB: “Manos” just kind of hurts your soul. KM: Yeah. So I think we did a service to the world, and made people realize that Plan 9, believe me it’s bad, but it’s not all as horrible as people used to think it was. It’s really more fun, it’s a lot more lighthearted, and so it seemed like the perfect time to do it since Legend Films already had it on board, and were doing restoration and colorization on it. JB: You mentioned that Mike had already done the solo tracks on those. I guess a lot of the fans who may have bought those discs and are now looking at these will wonder, how different these “3-riffer” versions are that add in you and Bill in? Obviously, there’s three guys instead of one. But how much of the material is new? KM: Well, there’s a whole ton of new material. We looked at all of the scripts, and we kept some of the jokes that Mike had done before, but Bill and I were able to throw in our perspectives as well, and our fourth writer Conor Lastowka also pitched in on it. So there’s a lot more “oomph” there than there was. And it really feels like a Rifftrax, where the things that Mike did, although very funny and observant, they’re truly meant to be more like commentaries. And these are real riffs, honest to goodness riffs now. JB: No, I’ve heard both versions of both “Reefer Madness” and “Plan 9” and it is definitely a different sort of experience. I think in a lot of the early ones, Mike is really funny, but he almost sounds kind of lonely on them (Kevin laughs) I’m curious about how you and Bill got involved in Rifftrax, was it always in the back of his mind that he wanted to reassemble the three of you, or did that just kind of happen organically? JB: A lot of fans, myself included, were always fond of the educational shorts that you’d riff on “MST” before the shorter features, so it’s very cool to see that you’re putting out these two DVD collections of the shorts. What do you think it is about those that makes them so fertile for what you guys do? KM: Well, they’re not meant to be artistic at all. And if they are, they almost always fail. They’re really sort of there to drive home a lesson or a purpose, so they’re really screwed down and very intent in that. And sometimes they try to scare you into doing something better, and sometimes they try to teach you a moral lesson, and they always seem a little bit oppressive. And so you really get that delightful feeling of sitting in the back of the classroom and making fun of the movie that the teacher put on and then she went out and had a smoke while, you know, the kids in the back of the room are making fun of the movie. That’s how it feels to me. It oddly enough takes me back to about fourth grade, when I used to actually watch some of these things, and snicker with my friends in the back of the room. And you know, they’re condensed versions, it’s like having a bowl of candy rather than a whole meal. JB: Right. And with the shorts, a lot of times, for fans, they’re the things that you can show someone else to turn them on to the series, because they’re so short. KM: And they’re the perfect straight men, because it seems like for some reason, most of these educational shorts have a narrator who says something and then leaves a huge gap! So it’s like somehow, they knew subconsciously that they were gonna be our Margaret Dumont sometime in the future. JB: (Big laugh from me, the Marx Brothers fan) What exactly is the process that you guys go through in selecting titles to riff on for Rifftrax.com? What are your criteria for a movie that you’d want to take on? KM: I think the first and most important criterion is that it’s a film that people will actually be able to find if they go look for it. I mean, there are tons of obscure films that we could probably have fun with, but they’re almost impossible to find, and even Netflix doesn’t have enough copies. You know, Sylvester Stallone put out about six direct-to-video films that we’re probably never gonna be able to touch. So by and large, the films that are either enormously popular or have been spectacular failures enough that, you know, there’s gonna be enough copies on the rental shelves for people to go out and get them. That’s important. And the second thing is, it’s just a feeling about a film. I mean, I don’t know how to quantify why we knew that Twilight was gonna be so good for us. Except that it’s so serious, and so melodramatic, and it’s so twisted into its little niche, that it reaches a point of absurdity very early on and then never lets go. And we gave a lot of people, I think the Twilight one in particular was liberating for a lot of young men who weren’t about to set foot in the theatre with their girlfriends in order to watch this damn movie—they thought they might die of shame. And now we’ve given them an excuse to watch the film. JB: Excellent. And part of the reason I ask about the selection process is because some of the fans are curious about the fact that some of the titles you’ve done over the last year or so—and I know that movies are subjective, and everyone has different standards—but a lot of them have been what most people consider “good movies”, things like “Raiders” and “Jaws” and “Dark Knight” and the like. I guess the question is, are you guys at a point now where you’ve been doing this so long that you’re more drawn to the challenge of riffing a good movie? KM: I think there’s something to be said for the challenge, but more so—I mean, Jaws, I love the movie Jaws, I think it’s a terrific film. So when we do it now, it’s not like we’re trying to tear the film down. I equate it more to a roast. JB: (Laughs) Now, you guys are very prolific with the Rifftrax releases. How similar is the writing process for Rifftrax to “MST”? Do you still do those sort of fabled multiple writing sessions and script every line, or is it a little more free-wheeling? How does it compare? KM: That’s right. And it’s worked out just fine, and I don’t think anybody’s ever been able to detect which chunks of the film I would have written, or Conor or Bill or Mike. I think we know each other’s chops well enough now that it sort of blends together. JB: Have there been any movies, particularly for Rifftrax but also for MST, that you went up against and couldn’t lick? Where you thought, “Oh, this one’ll be easy,” and then you just couldn’t get it to work, for whatever reason? KM: We haven’t abandoned a film on Rifftrax. And we never abandoned a film on Mystery Science Theater, because at that time we were committed with money to do it, we sort of had to it. There were a couple of times when it was really, really hard, and the film Red Zone Cuba keeps screaming into my head… And there are times when we’re doing films for Rifftrax when it just… what we do is sort of, it’s got it’s challenging elements to it, and when we talk about the vitriol that we have for the pod race scene in the first of the new, old Star Wars films… There’s something genuine in that hatred of the pod racing scene, the endless, interminableness of it…. and the confused vision that gets forced on us by, say, a Michael Bay in Transformers. I still don’t know what the hell happened in that film, and who was talking when, and what those things were supposed to be. Maybe it’s because I’m old, but I don’t think so. JB: I think you just… have a brain, and you like to use it when you walk into a movie theatre! JB: Exactly! Okay, last question: Shout Factory is releasing Volume 15 of “MST3K” this summer. It’s their third release since taking over the series from Rhino. Are you happy with the job that they’re doing with the show? JB: Oh yeah, I loved the Film Crew. KM: And they’re great folks. I think they do a really nice job of packaging things and putting them out there, and I’ve always been happy with their work on what it is I’ve done with them. I like ‘em. JB: Well that new “MSTK” set is out on July 7th, and the ten Rifftrax DVDs hit on June 16th. Kevin Murphy, thanks you so much for talking with us. Kevin Murphy, ladies and gentlemen. A prince among men. Servo was the best, and I loved the rifftrax for Transformers.